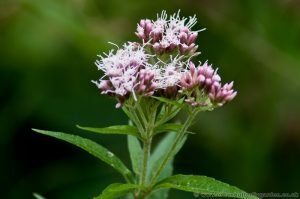 A tall and robust willdflower, Hemp Agrimony is a herbaceous perennial plant, with long narrow leaves and large clusters of small light pink or purple flowers, that appear (early Autumn) July to September. 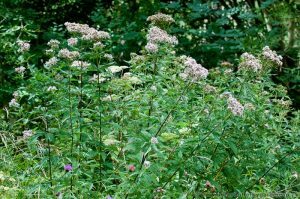 Widespread across England and Wales, Hemp Agrimony is most commonly found growing in the wild in wet or damp areas of open woodland, on river banks and in ditches, it often attracts Butterflies, Moths, Bees, Hoverflies and many other insects . 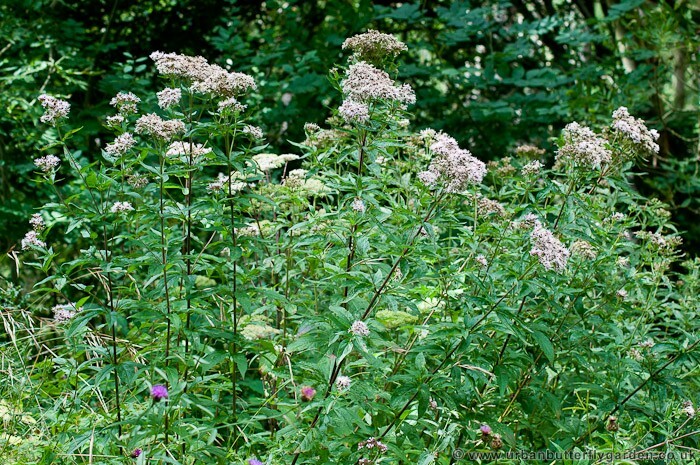 Hemp Agrimony can make a great architectural border plant, and is a perfect addition to a wildlife garden. It will grow in most soil types, preferring moist well drained soil and will tolerate a mixture of sunshine and shade. Position : sun to semi-shade. Butterflies regularly seen visiting this plant : Red Admiral, Holly Blue, Peacock, Large Skipper, Green- veined White, Silver-washed Fritillary (Argynnis paphia). 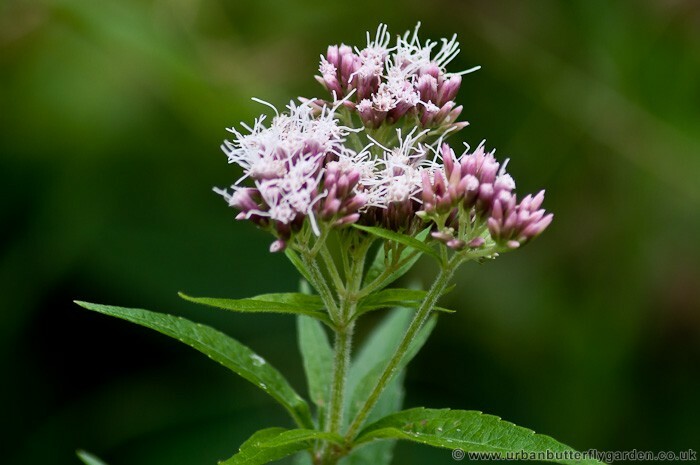 Cultivated Varieties : Eupatorium maculatum ‘Atropurpureum’.